FORT HOOD, Texas — The commander leading the campaign against the Islamic State in the Middle East says challenges remain despite pushing the militant organization from some territories throughout the region. 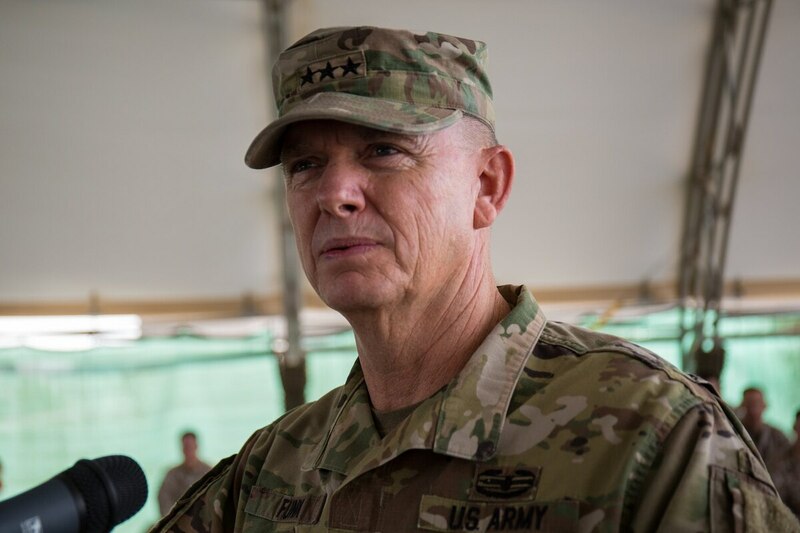 Fort Hood commander Lt. Gen. Paul E. Funk II spoke with Texas media outlets in a video conference from Baghdad, Iraq, on Monday. Funk said about 240 soldiers from the sprawling Army post in Texas left for a yearlong deployment in August. The soldiers are a part of the Combined Joint Task Force-Operation Inherent Resolve, a global coalition formed to fight the Islamic State. The coalition gives Iraqi and Syrian forces training, advice and assistance, including direct artillery and airstrikes on enemy forces. Funk said areas in the region face a lengthy rebuilding process. He said troops will have to work to clear more than 8,000 improvised explosive devices left in Raqqa, Syria, by fleeing IS soldiers in order to make the area livable again.